After his partnership with fellow photographer John Hay ended in 1855, George Washington Wilson continued with his portraiture business, photographing thousands of Aberdeen’s citizens as his studio became the most prominent in the city. 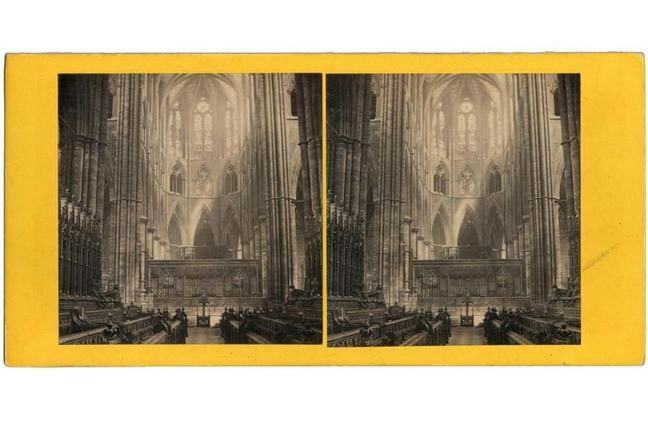 The most popular form of 19th century photography was undoubtedly the carte-de-visite, a size of photograph based on the traditional visiting card, and relatively inexpensive. With ‘cartomania’ continuing until the mid 1860s and carte-de-visites being made in the millions across the globe, this provided Wilson with a lucrative income. 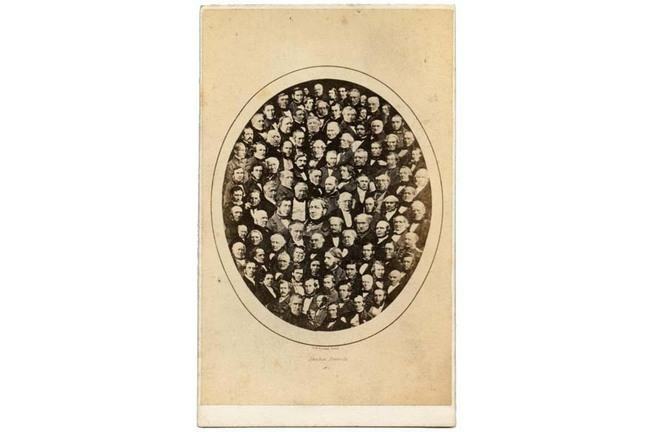 Notably in 1857 he produced a group portrait (below) which involved the first known use of photo montage or collage, although apparently only the esteemed men of Aberdeen were deemed suitable for these composite groups of miniature portraits. Wilson achieved this novel effect by cutting and pasting small portraits into an oval shape and then re-photographing the collage. This was then placed in the window of his friend George Walker’s bookshop in Aberdeen and soon captured the attention of the general public. 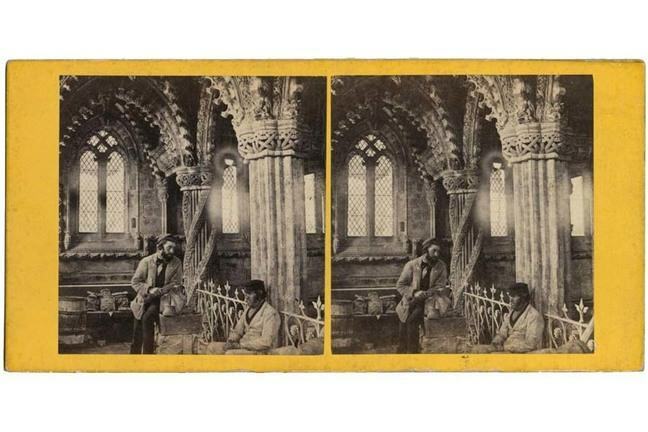 Wilson continued exploring the possibilities of photography as he ventured into landscape stereos, first testing the market in the Aberdeen area before expanding his horizons throughout Scotland and then across the rest of Britain. 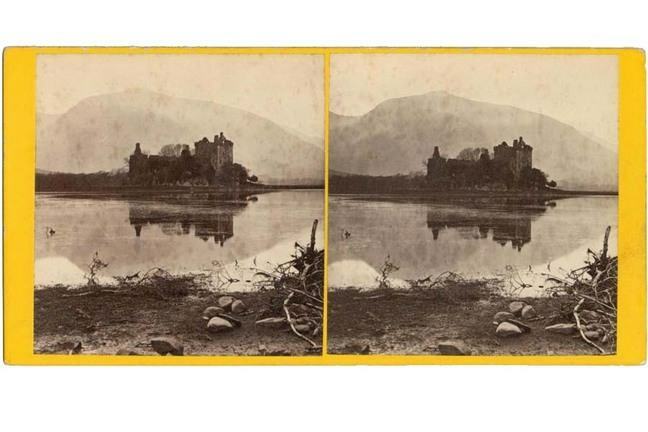 His first catalogue held forty-four views of Scotland which represented the castles and romantic views that appealed to the burgeoning tourist trade, buoyed by the development of the railways and influenced by Queen Victoria’s much publicised explorations north of the border. A significant technical challenge that Wilson overcame was the photographing of detailed skies, an important element within emerging landscape photography. This understanding of the issues of light and the means of manipulating the chemicals in the darkroom led to Wilson’s use of an iron developer to capture the subtlety of cloudy skies when previously they would have appeared entirely white; other photographers were known to have painted in this detail or to have combined two negatives of differing exposure or density. 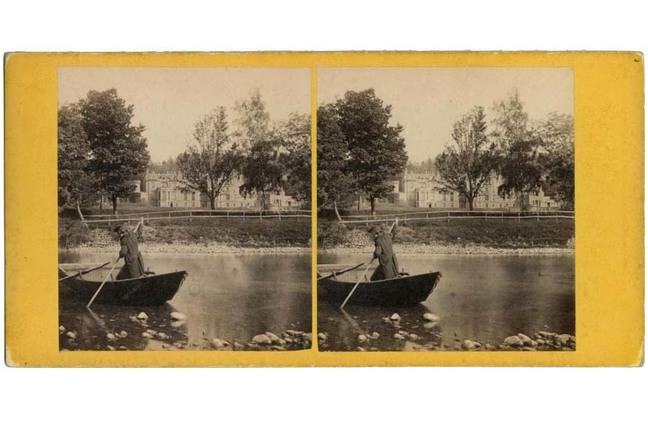 Always aware of the vulnerability and whimsy of the market, as early as 1861 Wilson anticipated a waning in the demand for stereoscopic images and began producing single prints for sale to the public. 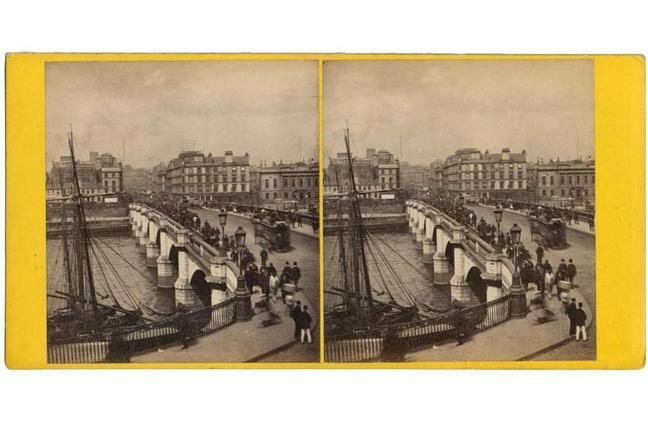 These images may still be found pasted into Victorian photo albums, alongside family portraits and holiday snaps. 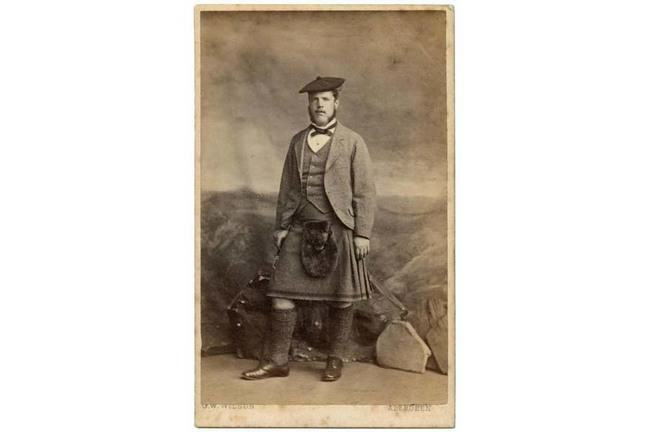 Concurrently Wilson also began producing larger ‘cabinet’ cards for the portrait market, again keeping an astute eye on the trends and demands within the photography industry. 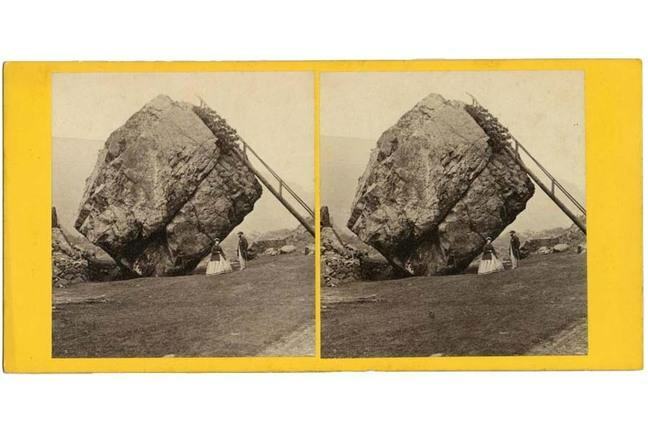 His frequent travels across the British Isles, including to London and other significant tourist spots, provided him with both new locations to document and also helped him to stay connected with the photographic zeitgeist. George Washington Wilson & Company’s original glass plate negatives and prints are now held at Aberdeen University’s Special Libraries and Archives. ‘George Washington Wilson: Artist & Photographer (1823-93)’, by Roger Taylor, published Aberdeen University Press, 1981. ‘By Royal Appointment: Aberdeen’s Pioneer Photographer. George Washington Wilson, 1823-1893. Papers from a conference organised by the University of Aberdeen to celebrate the life and work of Scotland’s pioneer photographer’ published by the Centre for Scottish Studies, University of Aberdeen, 1997.